Original era manufacture. 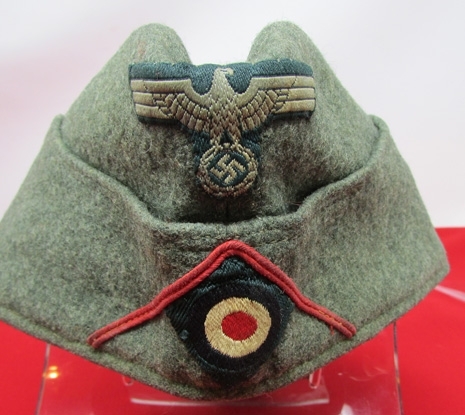 An early war example made of light color feldgrau wool of good quality, with original sewn insignia throughout. 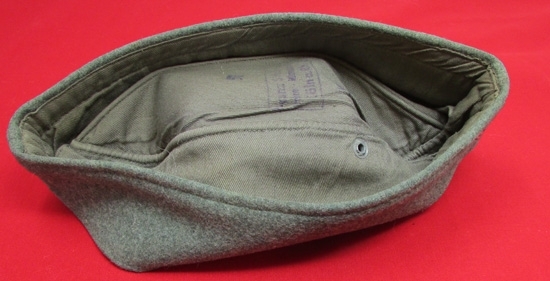 The most interesting aspect of the hat, is the red waffenfarbe piping at the front of the hat, forming an inverted V over the original sewn cockade.Gray cotton lining which is size marked 57, and displays the name of a Koln hat maker. 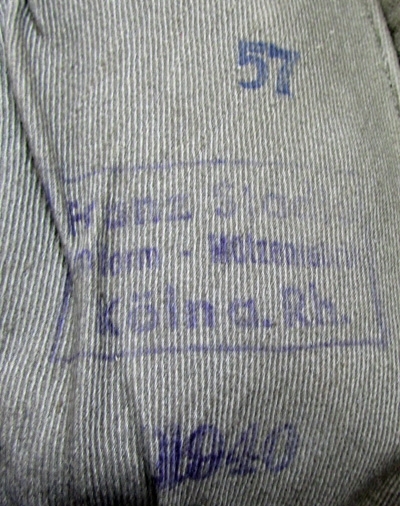 1940 date. No moth issues to report, just a nice even color throughout, and a verysound example overall.